On a previous posting "Whaling isn't about profits" it appears there's a lot more to it that trying to make a simple statement declaring that Japan are making huge losses year on year and there must be some other method to their madness. Whilst whaling today isn't profitable there's an awful lot of history that has in the past demonstrated that whaling is in fact a highly profitable industry. The research whaling of today surely isn't profitable, and the development of sustainable commercial whaling may also prove unprofitable, but the return to full scale commercial whaling could prove to be the ultimate aim and where the profit is at. 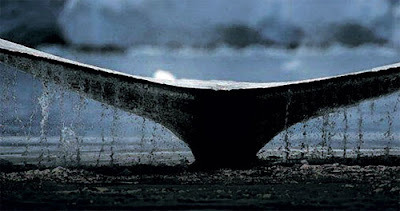 The return to unsustainable commercial whaling, referred to as the "mining" of whales, effectively stripping the seas of the resources could very well be the long term aim of the Japanese. 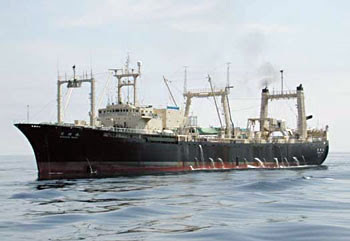 The subsidies handed out at present act as a means of maintaining an efficient and knowledgeable fleet of whalers. Imagine if you will the Japanese standing down for 20 years – where then would their whaling skills and experience be in 20 years time? The Japanese businesses and Government have long term strategies that could quite simply turn all of my previous considerations for whaling being unprofitable on their heads. Consider the Japanese's current want for fish, as a nation they eat more fish per capita than any other. With the decline of fish stocks and the potential increase in consumer costs, the adoption of whale meat as a possible replacement could become a very attractive idea. After all when the fish become more difficult to catch due to their scarcity or even extinction, as is the likely fate of the Blue Fin Tuna, what else are they going to eat? Is the fact really that the consumer no longer wants or likes the taste of whale meat, or is it that the Japanese government have positioned its pricing such that is maintains its status as a relatively expensive luxury food? I'm beginning to think that although many thousands of tonnes of whale meat sit in frozen storage, it is still being used and restocked. Maybe the Japanese government don't want to devalue it by giving it away – which it could probably afford to do financially, but what would be the impact on the consumer's opinion if this once "luxury" product was cheap or even free? If in future whale meat re-entered the market in large quantities the consumer may reject it as it is no longer seen as a luxury product and its price would crash. So when the tuna and fish stocks plummet and fish prices soar, could we see whale meat materialize and be more readily available such that it is competitive with fish prices – drive the market for it higher and bring about the profitability the Japanese have waited long to return? You then need to consider that relatively speaking; the Japanese are using a small old boat and hunting mainly small whales. If the days of profit are to return a large vessel hunting larger whales is a lot more effective – and potentially a great deal more profitable. I feel I'm asking more questions than there are answers for here. Every time I dig a little deeper, discuss a little further, I find the less I actually know. It's like bursting a balloon only to find that from inside another ten appear, and bursting each of them releases another ten and on we go. It's certainly difficult to comprehend that the Japanese would go to such lengths to subsidise the current whaling project if there were no long term agenda on its profitability. It just wouldn't make sense to throw money at something that continues to be less and less profitable. A great deal of my thoughts on this have been influenced by the work of Sydney Holt and the extremely useful papers he has sent to me. It's given me the opportunity to seek other information and question my own opinions. I attach an article from The American Prospect written by Sidney Holt and Erika Casriel. It's one of a pair Sidney kindly sent to me giving me food for thought on my original article. The other of the pair is the article "Whaling: Will the Phoenix rise again?" which appeared in the Marine Pollution Bulletin, Vol 54, Issue 8 of August 2007. This article is available online at Science Direct dot com.